Complete firearms which ship from the Stag Arms LLC factory are warranted to be free from defects in materials and craftsmanship for the lifetime of the rifle. Parts and accessories are warranted for one year from the date of purchase. The liability of Stag Arms LLC under this warranty shall be limited solely to the obligation to repair or replace the item or defect at its discretion and pay for round trip shipping. The online warranty registration must be completed and submitted to Stag Arms LLC through our website at www.stagarms.com/warranty. This warranty is transferable to future owners. To initiate a warranty claim, please visit our Contact Us page and complete the form, you will then be contacted by our service department. PLEASE NOTE: Any shipment received without a returned materials authorization (RMA) number written on the box or label will be returned to sender without being opened. If a replacement is required, all item(s) covered under the warranty must first be received by Stag Arms before a replacement will be shipped. The item(s) concerned should be packaged securely with plenty of padding. 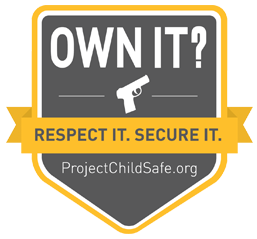 If the related claim is an authorized claim for warranty work, Stag Arms LLC will provide a pre-paid shipping label for the item(s) to be returned to us and pay for the return of the item(s) to the owner using our preferred carrier. Materials, cases, and boxes used to ship the item(s) to us will not be returned. Under no circumstances shall Stag Arms LLC be responsible for incidental or consequential damages with respect to economic loss or injury to property, whether as a result of express or implied warranty, negligence or otherwise. Some states do not allow the exclusion or limitation of incidental or consequential damages, so the above limitation may not apply to you. Stag Arms LLC will not be responsible for the results of careless handling, unauthorized adjustments, unauthorized repairs, unauthorized modifications, corrosion, neglect, ordinary wear and tear, or unreasonable use. EXCLUSIONS: Modification or alteration of a firearm will void this warranty. This warranty does not cover normal wear. Any damage resulting from careless handling, neglect, unauthorized repairs, unauthorized adjustments, unauthorized modifications, rust, or corrosion is not covered. This warranty is not valid outside the United States of America. Stag Arms LLC will not be responsible for the results of defective, low-quality, hand-loaded, reloaded, or improper ammunition. Register Your Stag Arms Products Now! To activate your Stag Arms Warranty, please fill out the form below! Your Data is Safe Stag Arms uses a SSL to establish an encrypted link and process your form data securely.